Washington Mystics vs. New York Liberty - WNBA Feedback!! 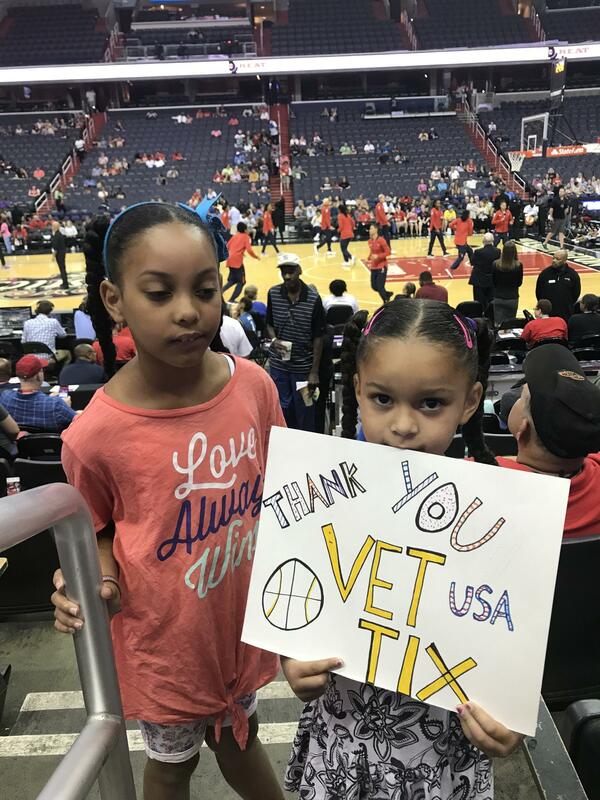 Thanks so much to Monumental Sports and Vettix for making our vacation away from home so much more memorable by attending this event! we Had an absolute blast!!! 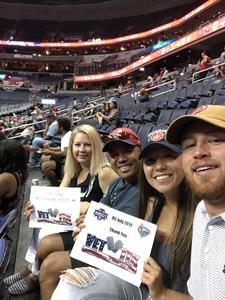 Thank you Monumental Sports for the tickets. My family loves the Mystics. 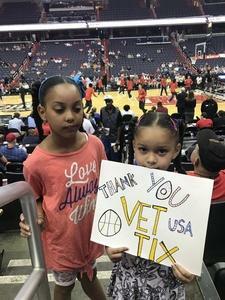 Thank you Vettix for everything you do for veterans. 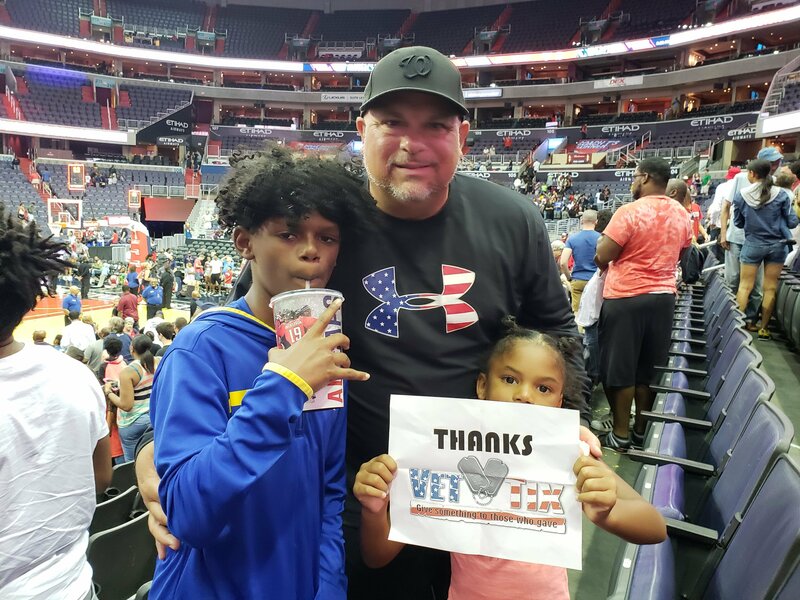 Thanks Vet Tix and Monumental Sports! 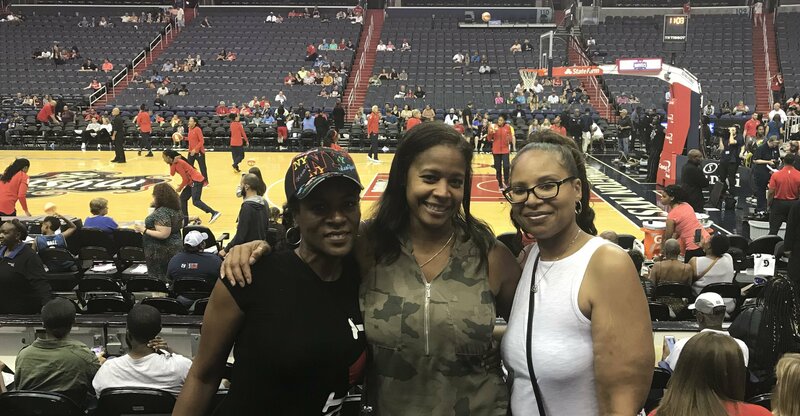 We had a fantastic time cheering the Washington Mystics onto victory against the New York Liberty Thursday night. The Mystics were down pretty much the entire first half of the game, so it a lot of fun cheering them on to the win. They are an amazing fourth quarter team. We look forward to cheering for them in the playoffs. 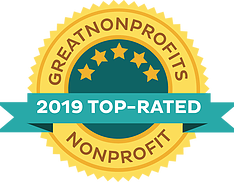 Thanks again so much for your support of veterans and their families. 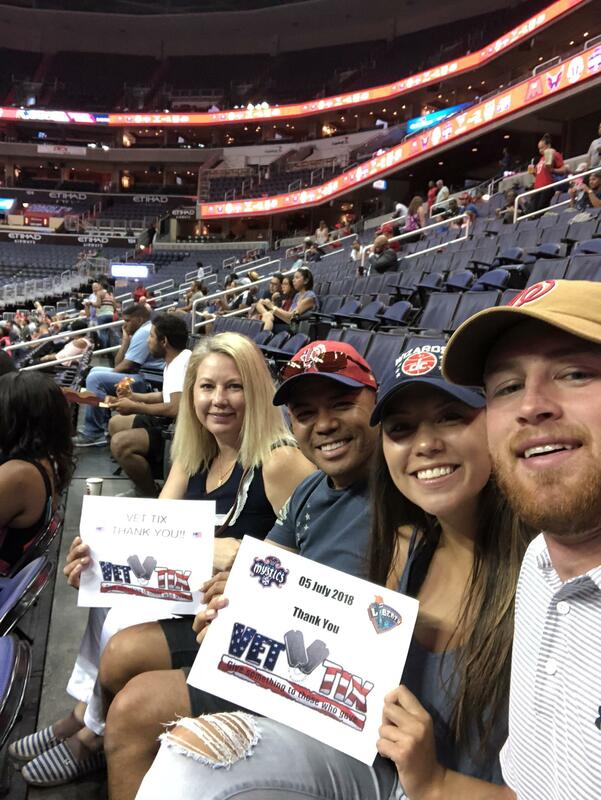 I would like to thank Monumental Sports for donating my family Washington Mystics tickets. 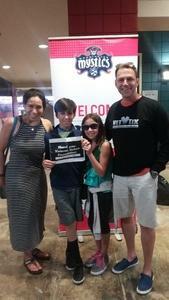 My 12 year old daughter plays AAU basketball and this was her first time attending a WNBA game. It was a honor to attend and a eye opener for my future basketball player. 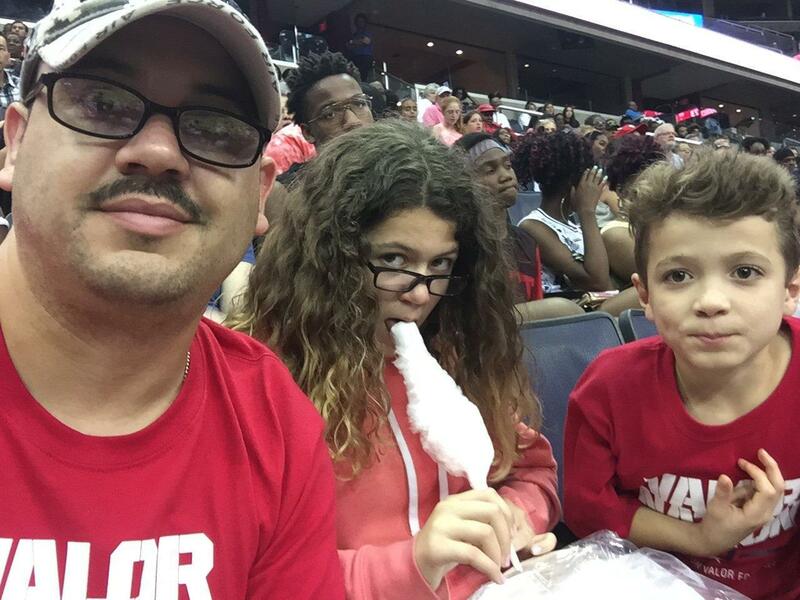 My wife, daughter, son and I had a really great time at the Mystics game. It was our first WNBA game. Monumental Sports, your generosity and thoughtfulness is greatly appreciated. Thank you. 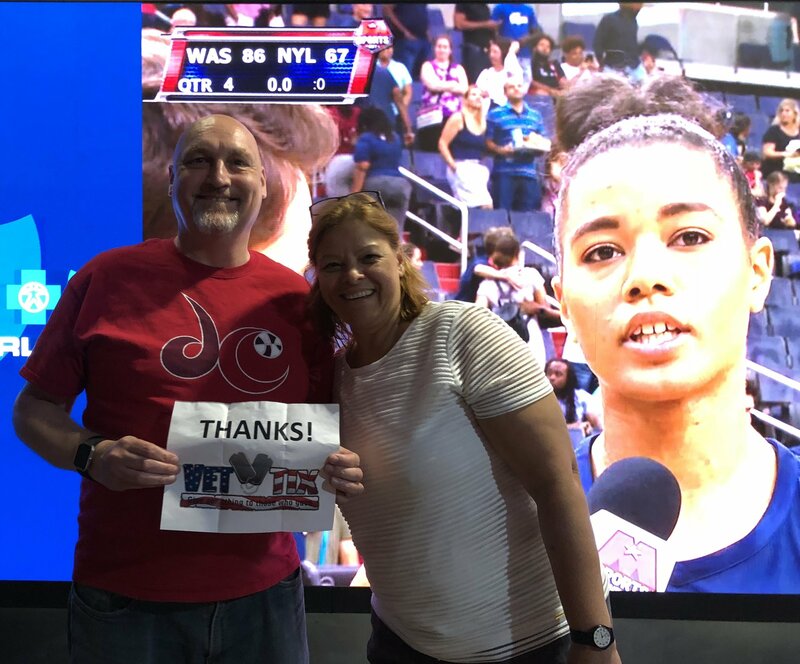 Thank you to our friends at Monumental Sports for your generous donation of tickets to the Mystics versus Liberty game. 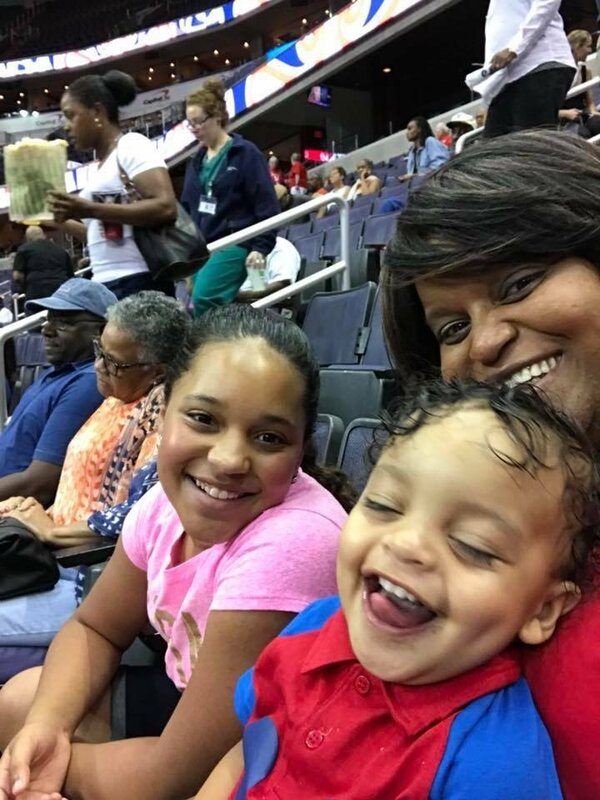 For my family it was our first WNBA game, and we greatly enjoyed it. We appreciate your support of veterans, military, and our families. 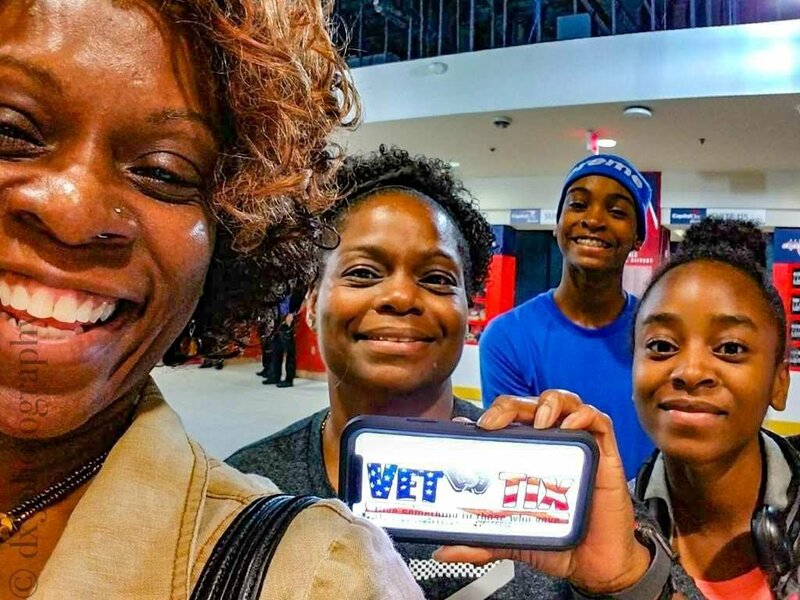 I encourage you to continue to support Veterans Tickets Foundation. 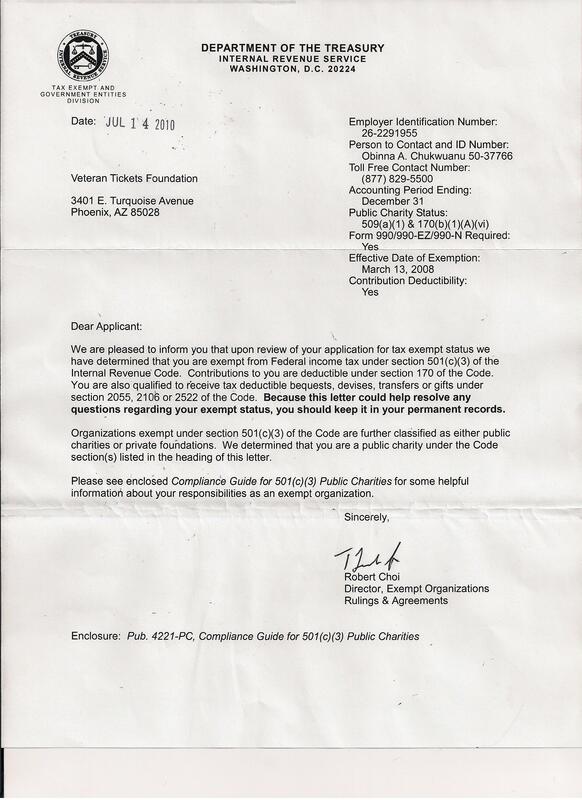 Thank you very much for the tickets. Despite the picture, my girls had a great time. 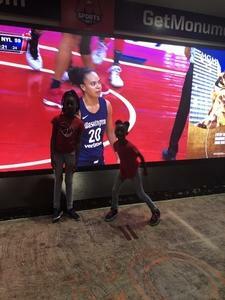 My girls are becoming WNBA fans. My family and I are having a great summer due to Vettix and generous people who have donated tickets. 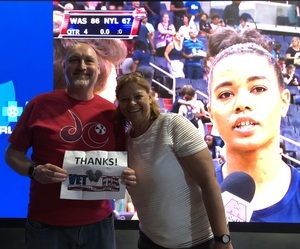 Thank You Monumental Sports and Washington Mystics for an Awesome Evening of Basketball. Your donation made it possible to take my family out a d introduce them to live WNBA - Thank You !!! 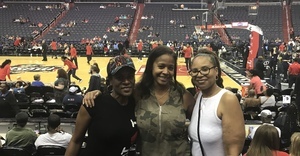 Thank you Monimental Sports for the donation of the Mystics tickets on July 5th. This was our first WNBA game and my family enjoyed the event and seats. 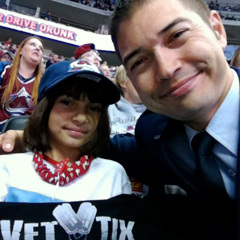 We are lookin forward to attending more games in the future and appreciate your generous donation.